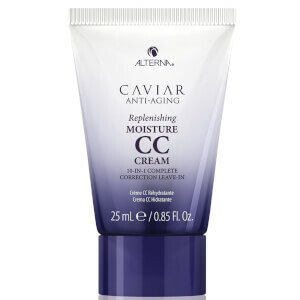 Rejuvenate your hair with the Alterna Caviar Moisture Transformation Kit. Featuring every product you need to get beautiful, youthful hair, Caviar uses a three-ingredient Age Control Complex that helps minimize the damage caused by every day factors. Ideal for those desiring a complete set of anti-aging hair products. Refer to individual products for directions for use. Caviar Extract is a rich source of Omega-3 fatty acids which help rebuild follicle structure. Cytokines encourage microcirculation. Vitamin C protects skin and locks in moisture. This kit is amazing. This is a must for my gym bag and traveling. I can't live without the moisture shampoo and conditioner. Nice travel bag with everything your hair needs.